This is a complete 64MB main board, with inverter board and microphone. * 206 MHz Intel StrongARM SA-1110 32-bit RISC Processor. 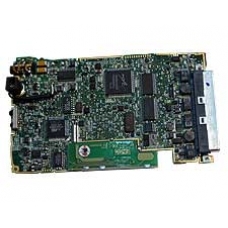 If you are not confident with a 'Do it Yourself' installation of this main board spare part, just follow the Related Products link below and order the in-house iPAQ repair service. If you have damaged the main board on your iPAQ PDA or if it has electronically failed, then this is the repair service ..